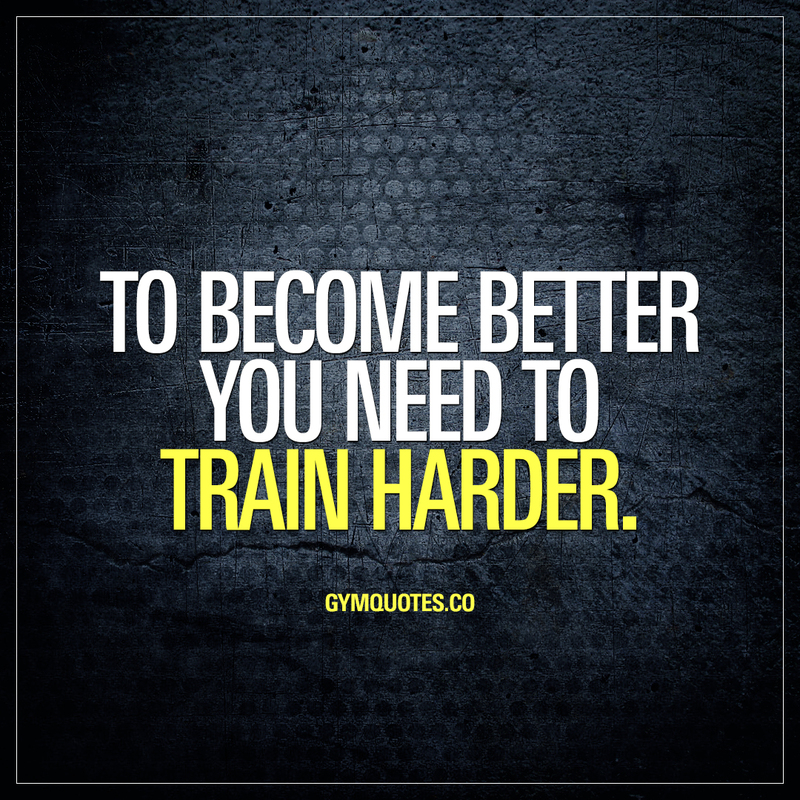 Train harder quotes: To become better you need to train harder. In order for you to become better you need to train harder. You need to push your mind and body beyond it’s limits to a place you’ve never been before. More reps, higher intensity, more cardio, more weights – regardless of how – you need to train harder. Period. If you like this “train harder” quote, then why not share it with someone you want to inspire?